Movie (and wine) buffs need to get in gear now - the last film fest of the season is too good to miss. It's the last film festival of the year - and it's in northern Californian wine country. Need we say more? 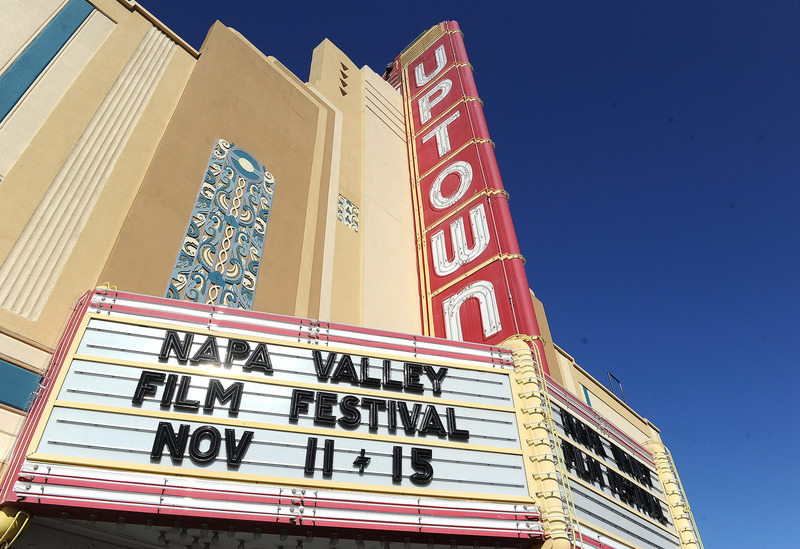 The six-year-old Napa Valley Film Festival is rolling out some big names, new movie-watching venues (in wineries, of course), and a brand-new schedule. The festival incorporates all four Napa towns (Napa, Yountville, St. Helena and Calistoga) for movie showings, cooking demos, wine-tasting, and unique events. Still not convinced? Here are the top 5 reasons not to miss this year's wine-fueled movie celebration, November 9-16. We'll cheers to that! The Celebrity Tributes night on Thursday alone features Lee Daniels (creator of Empire), Viggo Mortensen (Captain Fantastic), Dev Patel (Slumdog Millionaire and Lion, showing at the festival), and Kurt Russell (Hateful Eight). Also appearing at the festival: Matthew McConaughey, Chef Tyler Florence, Aaron Eckhart, and Katie Holmes. Afternoons are saved for wine-tasting - in designated pavilions from Napa to Calistoga. Plus, every film kicks off with a tasting - and of course you are welcome to imbibe a bit during most showings. 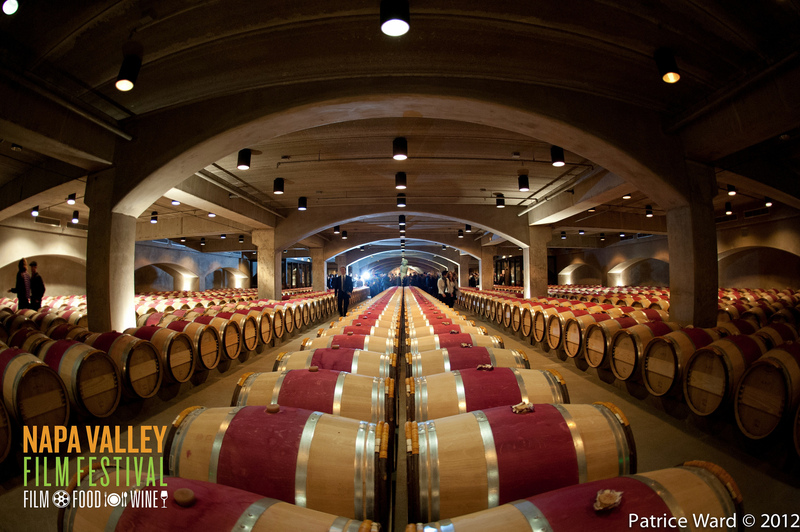 New this year: "A couple of Napa Valley's most storied wineries, Charles Krug and Freemark Abbey, are hosting screenings at their wineries," says film festival co-founder Marc Lhormer. "There's an old carriage house at Charles Krug, and at Freemark Abbey, they just completed a beautiful renovation. The screening room is in a barrel room on the lower level." A change to the schedule this year means you don't have to drink alone this Election Day. "Tuesday is our new sneak preview day," Marc says. "It's a full day of screening in all four towns. Now the festival is six days, so there's a huge feeling of growth." Plus, the famous Gala with food and wine from the top spots throughout Napa, has been moved from Thursday to Saturday. "This means," Brenda says, "you can stay out later." So many movies, so little time. Some highlights to get you excited: Mr. Church with Eddie Murphy, Miss Sloane with Jessica Chastain, and Sticky Notes with Ray Liotta and Rose Leslie. Burn Your Maps stars Vera Farmiga and Jacob Tremblay, who plays a boy who fantasizes about becoming a Mongolian sheep herder - and somehow gets himself transported to Mongolia. And Youth in Oregon features Frank Langella as a character who thinks he's dying, but his family members, including Billy Crudup, don't quite believe him. Classical music buffs will love the documentary double-header Crossing Rachmaninoff and Gordon Getty: There will be Music. Closing night presents the world premiere of Pisco Punch, a fitting documentary on the pisco spirit that is distilled from grapes. With so many films and special events to choose from, this festival allows you to pick and choose what you want to see. While an all-access Festival Pass and the Pass Plus come with perks and line priority, you may also choose to buy a la carte. Some events, such as special screenings and the Celebrity Tribute, allow advance tickets, and all films allow last-minute "rush" passes. Insider tip: Co-founder Brenda warns that small venues, especially at peak times, sell out, so strategize when relying on rush passes - save those for larger spaces like the Uptown and Lincoln Theater.